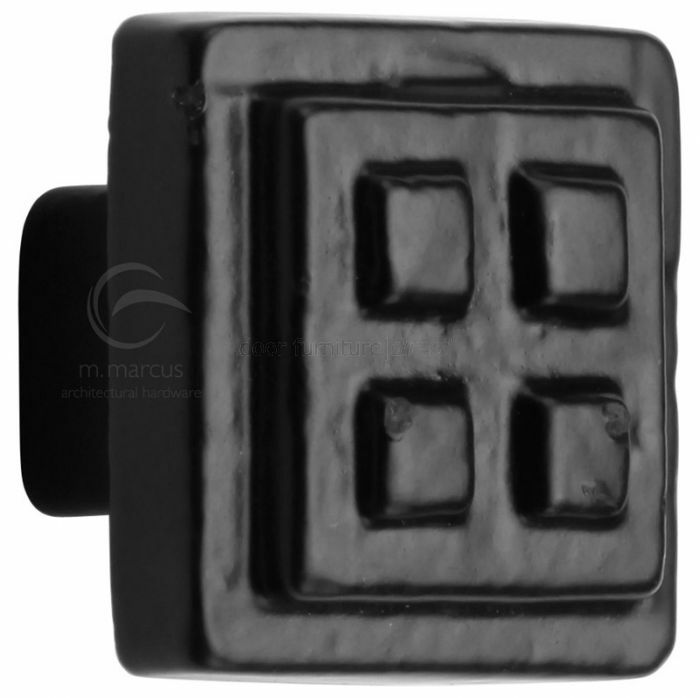 Black iron rustic style square Craft design cabinet knob, typically used on kitchen cupboards or drawers. The square shaped knob has a decorative pattern on the front and measures 32mm, projection is 27mm. Supplied complete with fixing screw. This black malleable iron rustic range is created using sand casting methods. This technique allows contemporary and traditional designs to have a rustic finish which is smoother in appearance when compared to the traditional black antique style finish.